In one of the most anticipated upgrades to the public transit system in years, the Red and Orange lines will soon have sleek new — and more reliable — rail cars, and the Green Line may soon follow. And then there are the Mattapan trolleys, chugging along at 72 years young, looking like props in a period movie. The Massachusetts Bay Transportation Authority has spent the last year and $1.1 million studying the future of the 2.5-mile trolley line and had hoped to have options in play by now. But last month the agency said it needed more time, leaving the status of the historic streetcars in doubt. 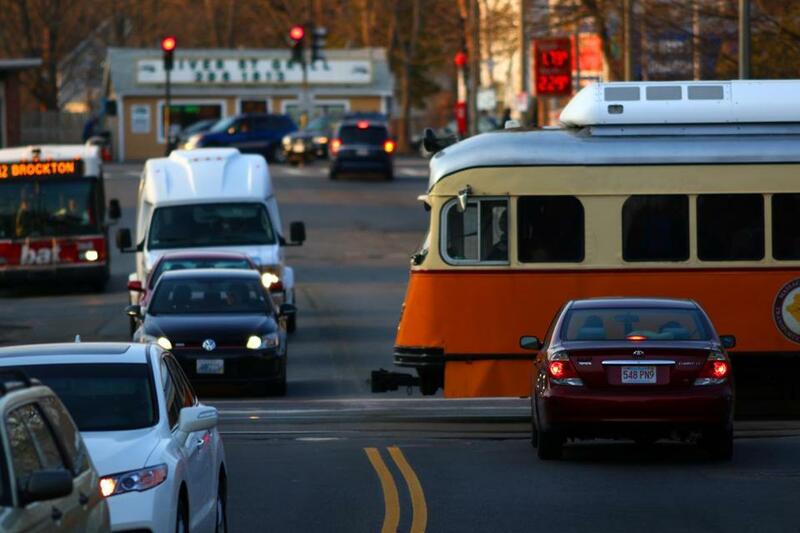 In anticipation that the T might try to replace the trolley cars or even the line outright, some preservationists and train buffs are campaigning to protect the historic cars. The MBTA declined to comment on the line’s future while its study is pending, except to say it “looks forward to a robust public discussion.” But among the possible options could be replacing the old cars with newer trolleys or even paving the rail line and running buses over it. Some transit advocates have proposed upgrading the line to accommodate heavy-duty Red Line cars, though that would probably be prohibitively expensive. Vivien Morris, a neighborhood activist with the Mattapan Food and Fitness Coalition, said the T should be driven by reliability, not nostalgia, in choosing the next step for the Mattapan line. It’s difficult to gauge the overall quality of the Mattapan line’s commute, because the MBTA does not track its on-time performance as it does other transit lines. The trolleys do not use a signal system, which has been the cause of so many delays on the subway. But that also puts the line’s vehicles at greater risk of crashes, such as one in 2017 that put two cars out of service for months. Cold weather also forced a one-week suspension of service last winter. The old cars are difficult to maintain, and the MBTA has to either make parts or get them from museums that have old models. Still, the T hasn’t reported a disabled Mattapan trolley for nearly two months. And some riders say they run better than nearby buses or the Red Line, which links to the Mattapan trolley at Ashmont Station. Others see little need for replacement as long as the trains still work. “I would like for them to stay instead of getting replaced. If they get me [where I need to go] and they’re picturesque, then that’s good,” said Bernabe Torres of Milton. Running buses in place of trolleys, meanwhile, would be a nonstarter for some. A trolley passed over Central Avenue in Milton, one of only two places where the line intersects with surface roads. Bradley Clarke, a transit historian with the Boston Street Railway Association, said the Mattapan trolleys are well built and could probably operate for decades if they are regularly refurbished and modernized. Known as Presidential Conference Committee cars, similar models still run on the streets of San Francisco and Philadelphia. Moreover, the trolleys are getting an $8 million overhaul to improve their propulsion systems and truck beds. When finished, the improvements should keep the vehicles running at least through the mid-2020s, when they’ll be about 80 years old, buying time for the T to make a final decision about the future, said MBTA spokesman Joe Pesaturo. John Paul Kaminga, manager of the Craft and Cru beverage shop near the Central Avenue station in Milton, said the neighborhood has contradictory feelings about the line. can be reached at adam.vaccaro@globe.com. Follow him on Twitter at @adamtvaccaro.